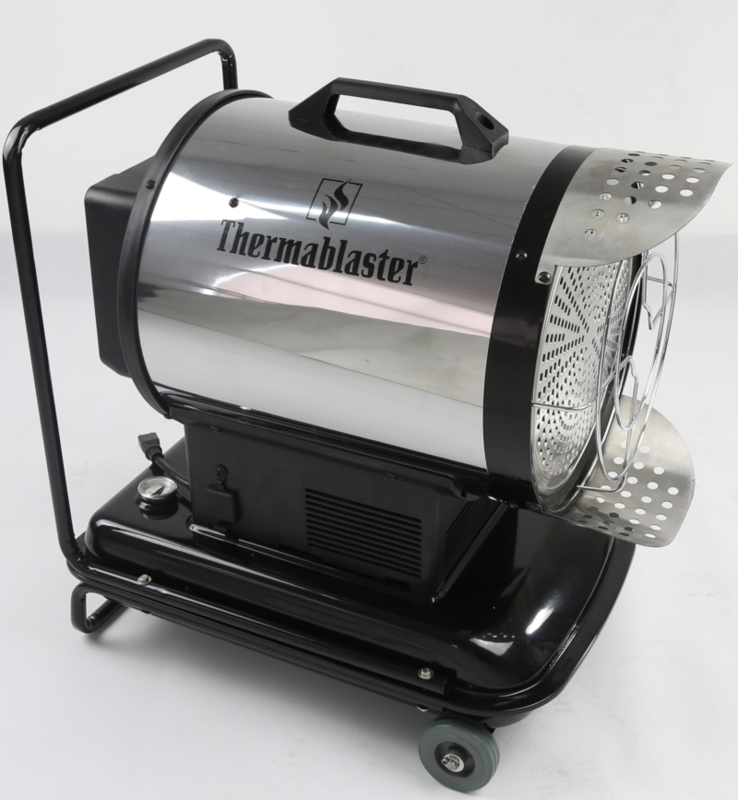 The Thermablaster kerosene radiant heater is a radiant and fan forced heating system combined into one. It has half the noise of conventional kerosene forced air heaters because of its front infrared panel . Electronic controls accurately adjust the temperature. This Thermablaster heater is very portable with wheels and an easy-lift handle. A basic Power on/off switch, fuel gauge and error indicator light are all standard. Our PCB control monitors the heaters performance and automatically shuts the heater down in the event of an error. A metal fuel tank with a fuel filter inside the metal fuel cap are standard. Wind will not affect heater performance compared to typical forced air heaters where heat can be blown around. The 4 gallon fuel tank operates up to 7 hours on full tank. Ideal for garages, workshops, construction sites, warehouses, aircraft hangers, farms, and any application where portable heat is needed. Some minor assembly required.